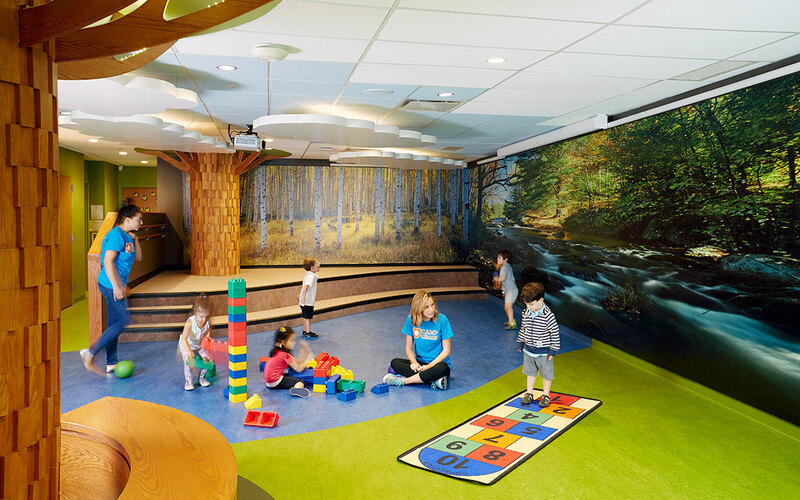 TruexCullins was asked to transform an existing multipurpose room at the Léman Manhattan Preparatory School into an engaging space for their early childhood students. 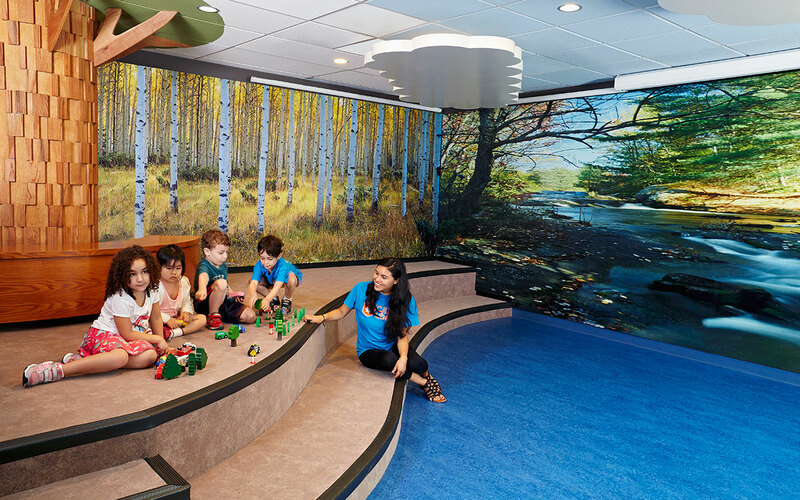 The “Learning Forest” is a nature-themed environment with a mountain, clouds, trees, and river. A large-scale woodland nature scene covers two walls and can be changed with the seasons. This flexible space design supports many functions, including stage performances and gathering for afternoon pickup.